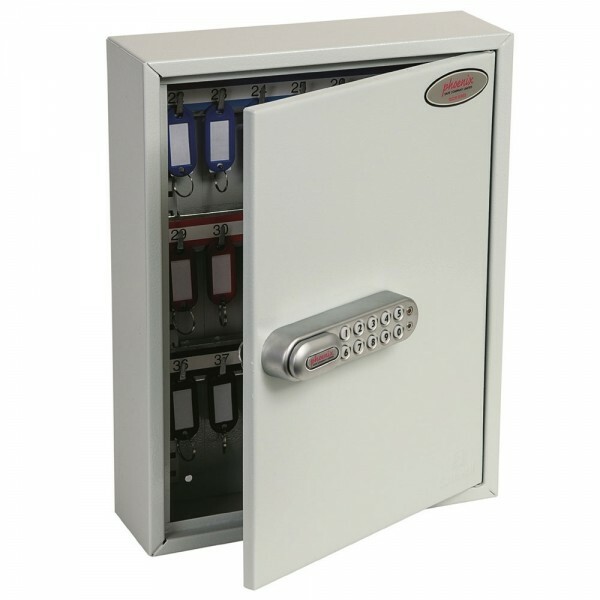 Phoenix KC0601N Key Cabinet Size 1 is fitted with the NetCode 1000 lock allowing temporary access to the cabinets via the web-based NetCode portal. NetCode is activated prior to the lock owner shipping and installing at a remote site. The NetCode Portal allows you to register and set up your account, activate your locks and generate time-sensitive codes. Generated codes can be sent by email or SMS to any email account or mobile phone. Each unit comes with adjustable hook bars and number labels to suit. The cabinets have pre-drilled fixing holes for wall mounting. Finished in a high quality durable powder coated finish.